To make room for a new fleet of hire bikes we are selling off a range of full carbon Prompt D211 ex hire road bikes. All come equipped with a compact 50-34 Chainset and an 11-32 cassette. All bikes have been fully maintained by us during their lifetime and will be available to you from the 22nd July 2017. All are in good to very good condition with only cosmetic marks. Most of the bikes have been protected with clear tape during their lifetime. Bikes can also be delivered worldwide for an additional 100 euros. To secure your bike you will need to pay a 25% deposit now with the remainder due before we ship out. Alternatively you can pop into the Prompt Cycle Culture shop in Bourg d’Oisans and, subject to availability take the bike away with you. 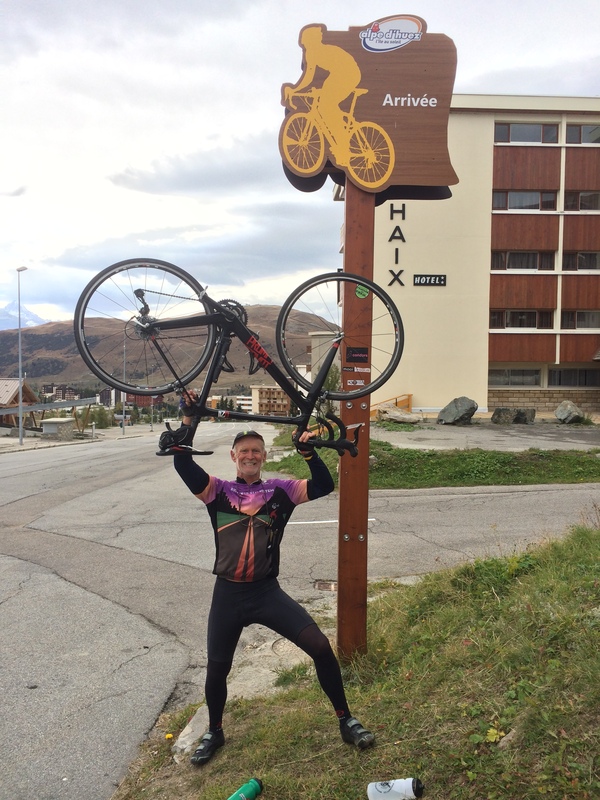 Our hire bikes are definitely faster than the Alpe d’Huez bikes.. Andrew in March having successfully conquered Alpe d’Huez. 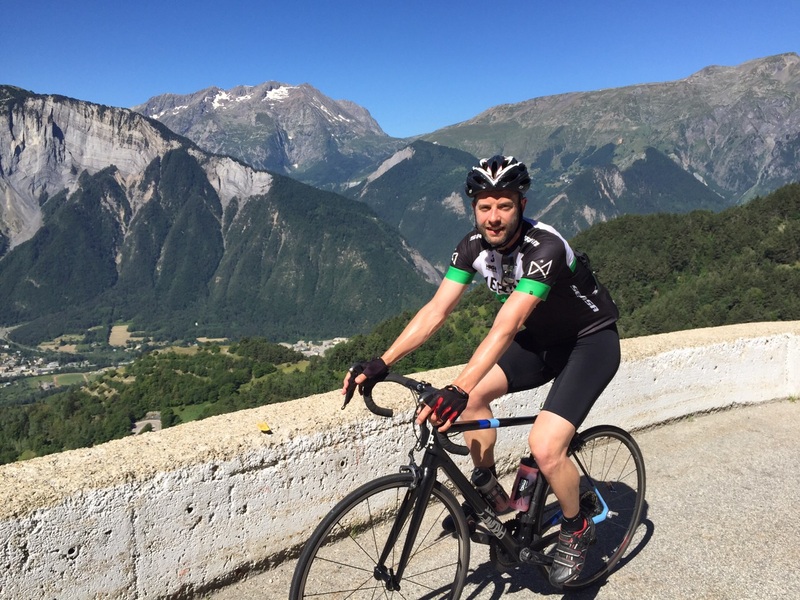 Andrew stayed with More Than 21 Bends on a bed and breakfast basis in Bourg d’Oisans and had two glorious days of cycling in the immediate area. I was pleasantly surprised by the quality of bike Prompt.CC provides. I been travelling across 7 different European countries on this trip and none of the other bicycles I have rented matched this quality or condition of their bicycles. Thanks Prompt.CC for helping make my Alpe d’Huez ride a truly epic event.